I think I have always been a sensitive person. I know I have always been an emotional one. My Myers-Briggs indicator type says I am an INFP which means I’m a values-based person. It also means I spend a lot of time in my own head. Important Note – I am not a medical practitioner or trained therapist, so if you are struggling with depression, anxiety or suspect you may have a mental illness, please consult a medical professional. 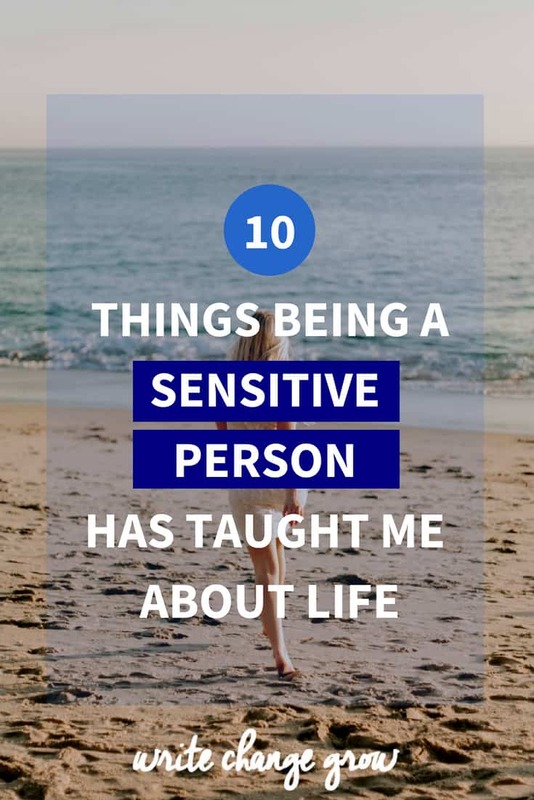 Here are 10 things being a sensitive person has taught me about life (and about myself). This one definitely jumps out for the top spot. 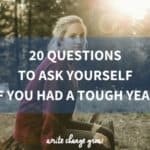 As a sensitive person growing up we are often told we need to stop being so emotional or stop being so sensitive or that we need to toughen up. People tell us how to act, think and feel instead of letting us be ourselves and supporting us the way we are. 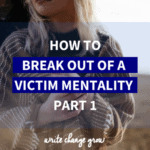 Unfortunately, this can result in feelings of shame and guilt (particularly when you are younger). Being sensitive is nothing to be ashamed of. It’s something to cherish and nurture. Stop seeing being a sensitive person as a bad thing and think of it as your own personal superpower instead. Overall humans beings are pretty keen to push our feelings away. We numb them, medicate them and try to eat or drink them away. Anything but actually feel the damn things. Don’t get me wrong I know feelings can be painful. Some are excruciating. I know we want to shut out the pain but usually, the only way to minimize pain is to feel it and move through it. It’s hard and there is no shame in seeking out the help of a professional to help you through it. (I’ve done this myself when required and it has always helped). 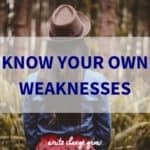 One of the feelings sensitive people (along with everyone else) often struggle with is self-doubt. At the beginning of the year, I took an excellent online course over at CreativeLive that really helped me in this area. 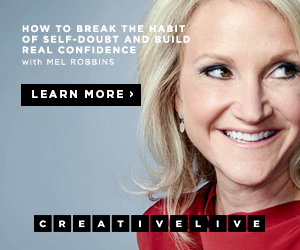 The course is run by the amazing Mel Robbins (The 5 Second Rule author) and is called How to Break the Habit of Self-Doubt and Build Real Confidence. 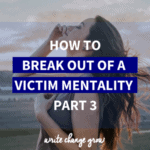 This course was a game-changer for me and I know it could help you as well. 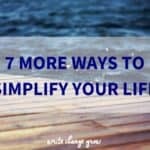 You can read my review of the course to get a feel for how it can benefit you. Just because you are a sensitive person and have strong feelings doesn’t mean that you need to be crippled or held hostage by your feelings. I know I struggled a lot with this when I was younger. I would get bogged down in too many feelings. But not I realize that doesn’t have to be the case. You are in control of your own mind. You are in control of your thoughts (and your actions). 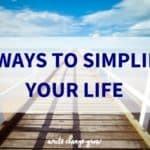 You need to prioritize your feelings according to your own compass (there’s that value-based INFP way of thinking I talked about earlier coming out to play). This means work out what is important to you and don’t get upset about the stuff that really doesn’t matter. Not only does it help to know what is important to you but it also helps to know what upsets you so that you don’t go looking for trouble. Let me explain this one. This is a very basic example. I don’t watch Tarantino films. The reason I don’t watch them is that for me they are too violent and I know that I can’t unsee certain images. Some disturbing images stay with me for a long time. So why subject myself to that in the first place? It’s important to know what you are sensitive towards. We all have topics, situations, and types of people that we are sensitive to. 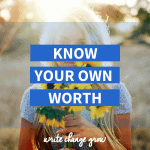 The better you know yourself, the better off you will be because you will know what things to avoid or at the very least what things you need to minimize in your life. I know as I have gotten older I have learned to care less about a lot of things. It really is about not sweating the small stuff. For instance, it surprises me about some of the stuff people complain about on social media. Someone pushed in front of them at the cinema so they complain on Facebook about it. In the end, they got a great seat at the movie, enjoyed the movie and left happy so who cares if someone did something with the line beforehand? Don’t get me wrong I’m not a big fan of queue jumpers either but the way I see it if I got upset about every little thing that happened every day, by the end of the week I’d be a nervous wreck. It’s much better for my mental and physical health to ignore what other people are doing and be excited about the movie (I love it when they have the big screens where you can watch the previews for coming attractions while you are waiting. I’m too focused on enjoying the previews to care what other people are doing). A book that has really helped me in regard to caring and not caring is The Subtle Art of Not Giving a F**K by Mark Manson. I absolutely love this book. It makes you think, it’s a bit controversial and yes there is a lot of swearing, so if that upsets you I would give this book a miss. 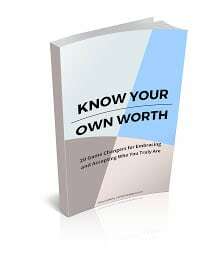 This book will definitely have you rethinking some of the things that you got upset about in the past. I don’t want to be a person who holds grudges. All I’ve seen that do is make people bitter and resentful and that is definitely not what I want in my life. I will admit, when I was younger I did forgive and take people back into my life far too easily but if I am truly being honest with myself that was probably more a low self-esteem issue than a forgiveness one. I have toughened up a lot on the forgiveness front, in the fact that I forgive people now but I don’t let them back into my life. I don’t give them another chance to hurt me. That’s the thing about forgiveness that people sometimes get wrong. They think it means that you forgive someone and take them back in your life and your relationship (whatever that was) goes on as before. They have a hard time forgiving because they think that it means saying what the person did to them was acceptable. That doesn’t have to be the case and it shouldn’t be the case a lot of times either. When someone has wronged or betrayed you it’s okay to forgive them but not have them in your life anymore. The secret about forgiveness that people don’t often talk about – forgiveness is something you do for yourself, as well as the other person. Forgiveness is something you do to have peace within yourself. As an emotional person, one of the big things that I’ve been working on in my personal growth journey is being more logical. I’m working on being more practical. As someone who lives inside her own head a lot, I need to be more logical and pragmatic when dealing with the outside world. I’ve learned that when you are bogged down in the emotional side of things, the best way to deal with a situation is with logic. Decisions can be easier when you take the emotion out of them for a moment and think what the solution to the problem is. Sometimes logic and reason indicate that a problem is different to what we first thought it was (because we were looking at it only through an emotional lens) or that there really wasn’t a problem at all. Just because someone is sensitive or emotional, does not mean they are a pushover. 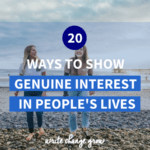 It generally means they give people more leeway because they are trying to be understanding and supportive. Unfortunately, it means that people may try to take advantage of you. If you are a sensitive person you may need to work on saying NO to people. You may also need to work on setting boundaries with people. As far as the conflict side of things goes, I don’t go seeking out conflict and I certainly don’t enjoy it but I will face it head on if that’s what’s required. Again conflict comes under the pick your battles category. You pick the important things to confront people over. You don’t confront people over every little thing (just the thought of that sounds exhausting to me). Being a sensitive person you may need help building up your resilience (particularly if you have had a series of hard knocks lately). CreativeLive have a course that can help you. The course is How to Be Bold, Resilient and Better than Ever and is run by Tabatha Coffey. 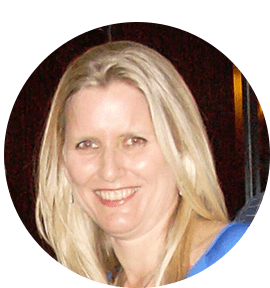 Tabatha can help you identify your fears, work through your failures and help you be more resilient so that you can bounce back. We all get knocked down but it’s the getting up that is important. Read through the course curriculum to see if this course can best serve your needs. Everyone needs to find ways to handle their stress levels but sensitive people even more so. For starters, sensitive people can make themselves physically sick if they don’t handle their stress. I’m a walking talking version of that myself. As I’m typing this post my right shoulder is so sore I tore the house apart looking for painkillers this morning (alas there is none in the house). My right shoulder is like my stress indicator, as it turns into a big painful knot if I get too stressed and do nothing about it. Lately, I haven’t been managing my stress levels and now they are managing me. 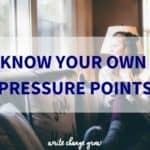 You also need to know how you react when you are pushed past your normal stress tolerance. I know what it is for me – I get snappy. I don’t normally snap at people except when I am under a lot of stress. It’s not particularly a side of myself that I like but it is a side of myself and I have to learn how to deal with it and avoid it happening. One way I am learning to deal with snapping at people when stressed is by stopping myself and thinking before responding to people. I don’t let myself respond until I have had a chance to think things over. I need to think first and then respond. This can occasionally lead to a tiny bit of remorse for something important I wish I had said at the time, but I can deal with that quickly (and internally myself) and move on from it. It’s certainly better than the pain caused to other people (and myself) by snapping at them. 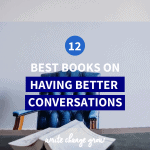 Emotions from these negative exchanges can linger (and if you snap at a grudge holder they can fester). You may have a different situation you need to handle. Whatever it is, be aware of it and work to keep it from hurting yourself and others. Remember words hurt so choose them wisely. If you are a highly sensitive person you might need a little more assistance. There are some excellent books The Highly Sensitive Person: How to Thrive When the World Overwhelms You and The Highly Sensitive Person’s Workbook that can help you. If you are a parent with a highly sensitive child you could benefit from reading The Highly Sensitive Child: Helping Our Children Thrive When the World Overwhelms Them. 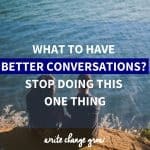 I’ve written a whole post on this one, so make sure you read 7 Signs You Are Taking on Other People’s Problems. Sensitive people (particularly if you are also an introvert) tend to be good listeners. Being a good listener is a good thing. 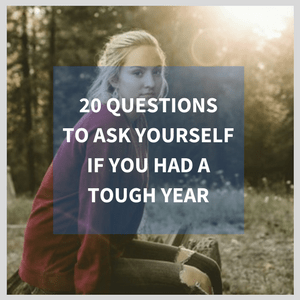 Being a dumping ground for other people’s problems – not so much. I’ve discovered that if I’m feeling stressed myself and people are constantly dumping their problems on me, I kind of switch off a little. Sometimes I switch off a lot. I switch off to other people but I also switch off to myself and my own feelings. It’s like it all gets a bit too much and I need to take a step back and get focused and centered again. If I am not careful this can affect my productivity (because I’m thinking about things that I shouldn’t be) and my mental health. 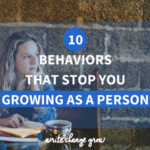 Over the years, I’ve gotten better at recognizing when I need to step back from other people’s problems (before I switch off), but it can still be a bit of a balancing act when I am under extreme stress and pressure. It’s something I am constantly working on so thankfully it’s something that is constantly improving as well. 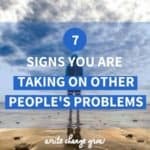 Make sure you read 7 Signs you are taking on other people’s problems if you struggle in this regard. I lot of the thoughts that go through our minds are complete rubbish. We think a whole pile of rubbish, trivia, lies and let’s get real here mean crap about ourselves and other people. It’s stuff that we need to throw in the garbage bin of our minds. The problem is we don’t toss it in the garbage, we think about it instead. We get distracted by it. We dwell on it. We overthink things. We stress over whether it makes us a bad person. 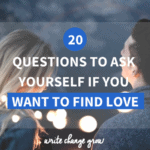 We feel shame and guilt plus a whole bunch of other emotions that get us absolutely nowhere. Hell, we even start to believe some of it! 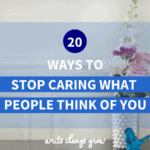 If you struggle to throw out your garbage thoughts, writing things down can really help. The book The Artist’s Way has a practice called The Morning Pages where you write your thoughts in freehand every morning for a set period of time. This is like a brain dump for your mind. It doesn’t need to make sense, it’s a way of getting your thoughts out. You can also use a guided journal if you want a bit more structure to your writing. A good guided journal is Start Where You Are: A Journal for Self-Exploration. Another great option is using both a journal to get your thoughts out and a gratitude journal to highlight and celebrate the things you are grateful for. Rubbish out – good stuff in. Sounds like a positive plan of attack. Some people won’t like the idea of writing and that’s fine. Extroverts tend to talk through their emotions as a way of processing and dealing with them. Just don’t allow yourself to keep rehashing your rubbish thoughts. Being sensitive is something to be nurtured. Sensitive people have a lot of gifts to offer the world. Deal with your feelings, know what is important to you, protect yourself and be your best sensitive self.